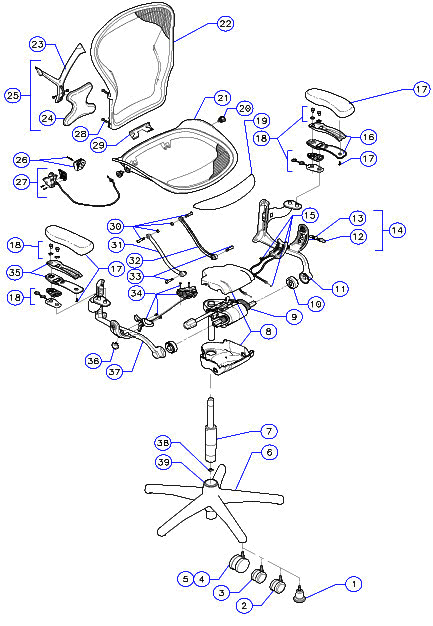 Herman Miller Aeron Home Office Ergonomic chair Parts, Accessories and Service. We only sell new Genuine Herman Miller OEM Parts. - Most parts should only be replaced by our trained Herman Miller Service Personnel to make sure they are installed correctly. Herman Miller only permits us to sell easy to install parts such as Casters, Armrest Pads, Lumbar Supports and Seat Foam for Self-Installing. We are no longer permitted to sell more difficult to install parts such as cylinders, Armrest assemblies and other critical parts for Self-Installation. 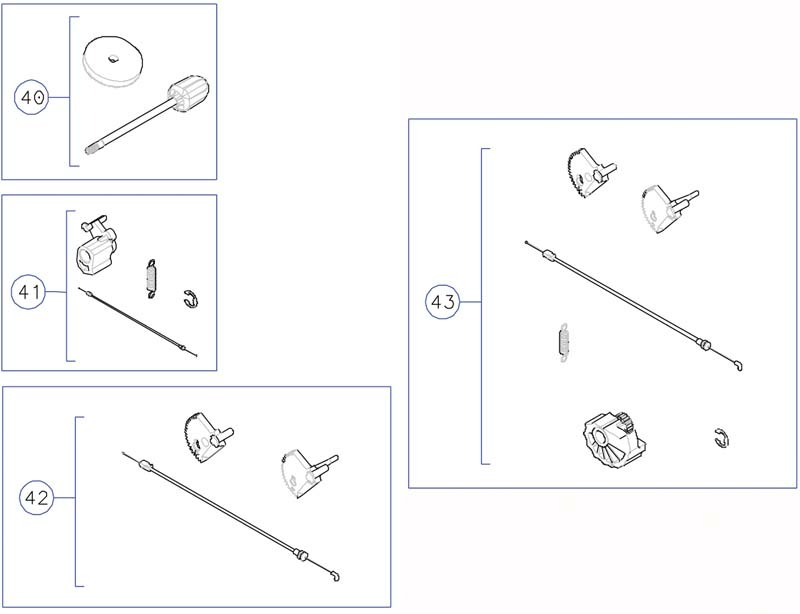 We can install all Herman Miller parts for you to ensure proper assembly. If you are in the greater San Diego Area please drop off your chair off for a free estimate. If you are not near a service center and would like to ship the chair to us we would be happy to give you a free estimate for repair (see examples at bottom). Please note that you will need to pay return shipping. If you would like us to arrange for the pickup of the chair for repair we can provide a Box, shipping to us and return shipping back to you for $195. 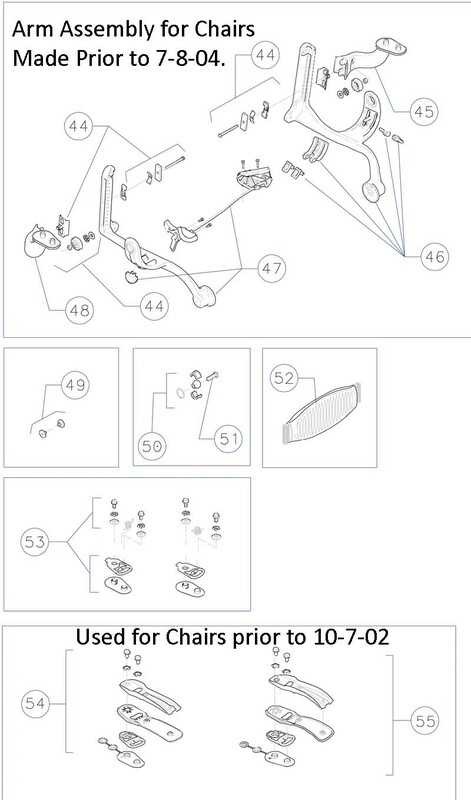 This will not include the parts and labor for fixing your chair yet you can get an estimate of the cost to replace most parts at the bottom of this page. **Herman Miller only permits us to sell easy to install parts such as Casters, Armrest Pads, Lumbar Supports and Seat Foam for Self-Installing. 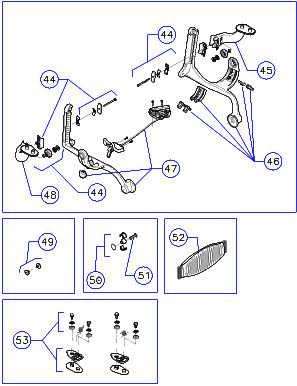 All other parts will need to be installed by a Herman Miller Service Center such as Vitalityweb. How can I determine my chair size if the label is gone? - To determine the size of your chair, feel underneath the top back lip of the chair's backrest for a number of bumps. 1 bump is A, 2 bumps are B, and 3 bumps are C. One can also measure the seat pan width: Small A is 19 inches wide, Medium B is 20.25 inches wide and Large C is 21.5 inches wide. Aeron Chairs and Parts can only be shipped within the U.S.A.